Please visit our James M. Nederlander Theatre pages for information, show schedules and tickets. 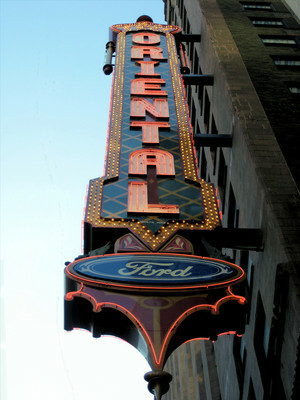 Known as the Oriental Theatre and more recently the Nederlander Theatre, the Ford Center has seen legendary performers take to its stage! Including The Three Stooges and Judy Garland, take to its stage. When the theatre's doors opened in 1926, it took the form of a grand movie palace with exotic architecture inspired by India.